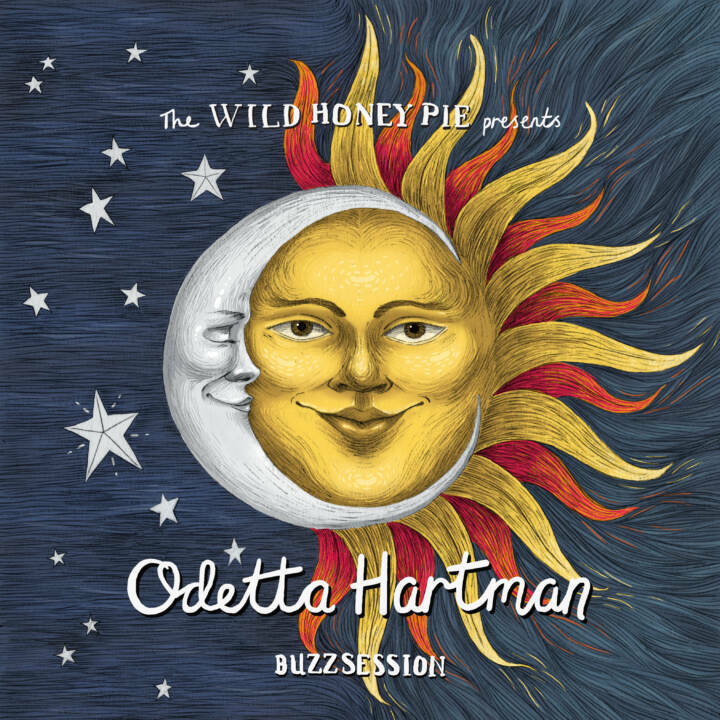 Odetta Hartman offers a sonic constellation of folk tradition, field recorded foley and a kaleidoscope of electronic processing that distills more into whiskey than wine. Captured in multicolored effervescence at Shifted Recording, Hartman seems entirely at home amongst the foliage and shimmering lights strewn across the set. Perched with a banjo in her lap, a guitar slung around her shoulder or a tambourine in hand, Hartman’s voice is all haze and honey. In this Buzzsession directed by Cidney Hue, the camera glances at Hartman with the shy lilt of a teenage crush on "You You," later developing into a fully-fledged romancing stare on her elegantly coy tune "Honey." "Honey" is particularly alluring, a lover’s whisper, a late-night ultimatum. An affected banjo melody encourages listeners to bow to the weight of the warmth of the arrangement, while the meditative reverberance and the slight rasp of Hartman’s voice hypnotize. "You You," Hartman’s sweet, swaying love song is electric and infectiously joyous. Hartman has said she considers music to be a kind of spiritual experience, finding that her songwriting comes as much from a thoughtful poetic intention as it does a lightning strike of inspiration. This intuition shines through during her session, as light flares streak across the screen and Hartman treated us to stunning reimaginings of two of the standout tracks from her new record, Old Rockhounds Never Die.